I am excited to present a blog post from REAL Women Hampton Roads VA Sister Circle Co-Facilitator, Daniall Foskey. You will never complain about being broken, after reading this post. Experience it here and let us know what you think about it by leaving us a comment or emailing us at info@realwomenrock.org. I was cracked, not broken. And because I was cracked and not broken, I didn’t realize how much I needed to be fixed. Life tried to shatter me into a billion pieces but, I’d somehow managed to keep myself together through life’s devastating blow! Be it God’s mercy, my stubbornness, or a combination of both, I WOULD NOT break! I withstood every jab and upper cut from life like a heavy weight. But, even Muhammad Ali had a breaking point…or in my case, a cracking point. As hindsight becomes foresight, I realize that in the end, being completely broken is far more beneficial than being cracked. When something is broken, it is no longer recognizable. Nor is the broken thing expected to be utilized in the same capacity as before due to its brokenness. 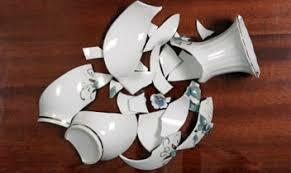 Broken things-especially those things of value, get fixed. BUT I WOULD NOT BREAK! Cracked things maintain their form. Cracks simply alter the appearance of a thing. Cracked things are still seen as useful and are expected to operate at full capacity. 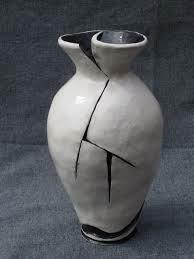 But, when something is cracked and not mended, it is just a matter of time before the crack creates a chasm. .. I was cracked, but I still was seen as a prayer warrior. People had no qualms about calling me for prayer. I was cracked, but I was still seen as a confidant, people didn’t hesitate to cry on my shoulders and tell me about all that they were going through. I was cracked, but I was still seen as an awesome school counselor. My office was a revolving door for students, parents, teachers, and community activists who needed me NOW! I often stopped what I was doing to meet the needs of others despite the mounds of paperwork that needed to be completed. I was cracked, but I was seen as a super mom. I put on my heroic garb and flew from my middle schooler’s football games to my high schooler’s football games in the fall. Then I zoomed through both of their basketball and track seasons, while never missing a band or orchestra concert! I was cracked, but I was still a girlfriend, so I was asked to be a bridesmaid in some of my friends’ weddings. I smiled for the pictures but cried on the inside because my own marriage was falling apart! I was cracked, but I was a therapist, I counseled those who were grief stricken or traumatized. I ushered my clients towards healing while masking my own pain through the cracks. I was cracked, but I was a Christian. I kept serving in church and steered clear of the altar because I was unable to lay my burdens down! I was cracked but I still…you fill in the blanks, and I did it cracked! Eventually my crack widened and the gap became so huge that the only way to fix me was for me to completely break! As hindsight becomes foresight, I realize that it is more beneficial to be broken than cracked! I heard Bishop Darryl S. Brister explain this concept with an illustration of The Last Supper. Jesus first takes the bread, then he breaks the bread, next he blesses the bread and finally raises the bread! Even the Bread of Life had to be broken in order to be risen! My breaking began when I joined a new church and the process continued when I went to my first REAL Women’s summer intensive. I wish I could say that I broke overnight but, I didn’t. I didn’t quite know how to be broken and protect myself at the same time. But, I began to trust the process. I listened to my Pastor, Christopher Taylor, and began to follow his instructions. I did the work at my sister circles and finally, during the Winter Intensive on December 8th, 2017, I completely broke! I broke from all of the pain, devastation, betrayal, rejection, and lack of forgiveness that caused me to crack! I broke from the disappointments, broken promises and dreams that had been deferred! I BROKE. I broke from the guilt I carried and the shame I tried to bury from being angry with God! I BROKE! I BROKE from the FAILURES of my past, the FRUSTRATION of my present and the FEAR of my future! I was cracked but, Jesus took me, and He broke me, then He blessed me, and now He is raising me. Soon, He will give me back to the world to operate fully in my anointing. I was broken but, now I’m healed.